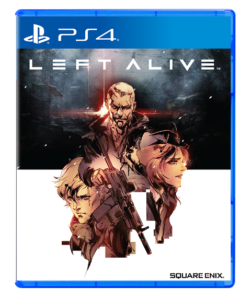 Just a few weeks after the official release date of the NieR:Automata Game of the YoRHa Edition, Sony Interactive Entertainment Hong Kong Limited Singapore Branch (SIES) will also be releasing the PlayStation 4 software Left Alive (English version). The new Square Enix title will become available in the Philippines on March 5, 2019. Set in the world of Front Mission, Left Alive follows three protagonists finding their way in a war-torn city. Players must find a way to survive on the battlefield and fulfill each protagonist’s goal. This new survival action game has you facing off against countless enemy soldiers and bipedal mechs called Wanzer. You battle it out while your ammunition is scarce and you have limited resources. You will need to strategize throughout the game play, finding routes away from combat and setting traps for your opponents. Left Alive will be available in PlayStation 4 in disc for P2,999.